If you have ever done your own travel planning for a trip on your own, then you know how time consuming it can be. You need to look into and search for airfares, accommodation, transportation, places to go and things to do. All of this can sometimes be a bit overwhelming. Party Travel Tour Operators specialise in there chosen area and will take all of this angst away of trying to do it all yourself. We list all the major tours operators in the Party Travel market. The only thing that you need to do is make up your mind when and where you want to go and then BOOK and GO. Party Travel is the new "in" thing amongst the 18-35 travel market across the world. It's like a rite of passage every teenager and 20-odd year old goes through before moving on life as an "adult". Travel for the young adult includes clubs and bars at night, sand, and sun during the day. There are many travel companies who offer party tours that cater to this party hungry crowd. For this mob it is hang out at the beach or by the pool all day and then party all night until the sun comes up and you do it all again! The party travel tour destinations of choice at the moment are the islands of Europe, with beautiful beaches and endless rows of nightclubs and bars on these islands being the order of the day and night. Think about Spanish hotspots like San Antonio on the Island of Ibiza, or Magaluf on Mallorca. It's no surprise that Greece has a few sizzlers like Malia on Crete, and Laganas on Zante. Or, how about the new up coming party spot Ayia Napa in Cyprus? Another way that people are loving experiencing different cultures and having a massive party whilst doing it along the way, is at some of the biggest and best festivals around the world. Festivals Travel is increasing each year in many parts of the world and people are travelling from one place to another with the plan to attend particular festivals. Some of the major international or globally recognized festivals are the Oktoberfest, Rio Carnival, Running of the Bulls, Mardi Gras and Hogmanay. Festivals Travel will continue to grow and expand in the coming years with more and more people expected to attend these international festivities. Check out our awesome dedicated Party Travel page with all the great Party Travel Tour Operators in Europe. We have got plenty of information to get that travel FOMO going and you thinking about booking your next party trip. ​Stoke is all about the party and on most of their trips you can upgrade for a small price to an unlimited all-you-can-drink beer and sangria package. Stoke Travel say their customers are participants in the experience, not observers and they create an environment where you feel you ‘own’ your trip. 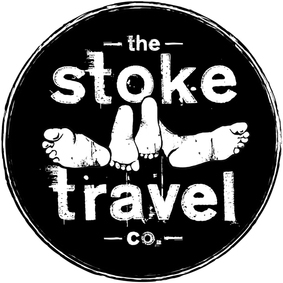 Their new innovation is a multiple festival travel pass called the Stoke Passport. TGW Travel Group started out as an idea between two MBA students 8 years ago. After a brutal mid-term, they were discussing their travel experiences over a couple of beers. Both were avid travellers in their mid 20s and saw an opportunity to create a company that provides the traveller with a no-hassle, fun, local experience. Their concept was to provide travellers with a “local” experience as if you were visiting a friend in that destination. With this idea, the duo entered a Global Business Plan Competition with over a 100 participants from around the world and won! What started out as just an idea has grown into one of the most innovative companies in the travel industry. 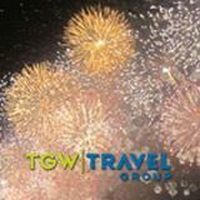 TGW, aka Tours Gone Wild, is the premier young adult tour operator specialising in showing you the world's best nightlife like a local. TGW not only makes sure you visit the destination’s must-see daily attractions, but also takes care of you at night and provides you with a local contact you can call for any emergency or question. TGW does not offer anything that the owners have not personally experienced and only partner up with the best, most reliable suppliers in each destination. TGW is committed to providing a top-notch, no hassle vacation at a great value with impeccable service. PP Travel are the specialists in the must do festivals and events like the Oktoberfest in Munich, the Running of the Bulls in Pamplona, Hogmanay (Scottish New Year's Eve) in Edinburgh, the La Tomatina tomato festival in Spain plus many more. PP Travel is renowned for their quality, high level of organisation and most importantly their fun. It all started in 1991 when the company was originally known as "Kozzie Travel" (Kozzie being a combination of Kiwi and Ozzie), with just two coaches, a handful tents, a small number of keen hardworking crew and naturally some eager party going passengers for the Running of the Bulls in Pamplona. More than 20 years on and PP (which stands for ‘Party Professionals’) are still just as keen, still hardworking and continue to operate the best party tours to the major festivals. Now, when PP Travel heads off to Spain it is with over 1100 passengers plus a further 100 crew. To the Munich Oktoberfest they took almost 3000 passengers this year! PP Travel still has the same owners, same management staff, and the same commitment to their passengers and crew that they had back over two decades ago.